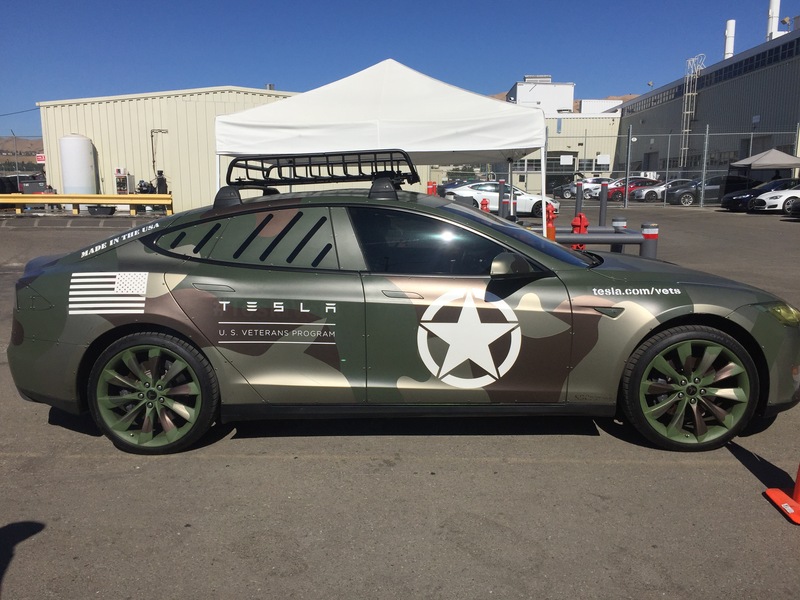 Need a weaponized Tesla? Or at least inspiration for what one might look like? 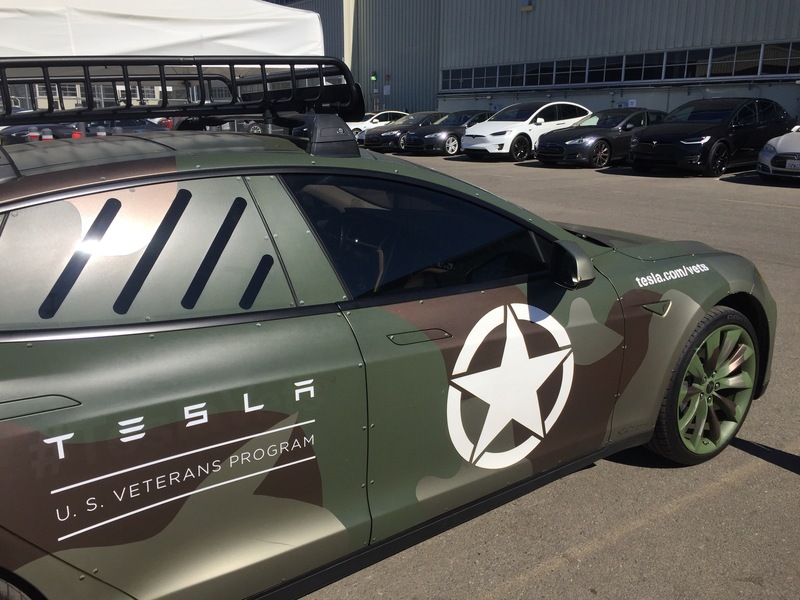 Tesla’s marketing team is woo’ing vets with a military concept Model S. Camouflage 21″ rims, stealth window tint, rear window armor, combat ready roof rack, topped with a full camouflage body wrap, including an extra layer of vinyl rivits. Under the hood “so to speak” an air suspension raises the vehicle to handle tough spots and all wheel drive provides extra traction for its “cough cough” rugged summer tires, hah. But hey they look good on those rims. 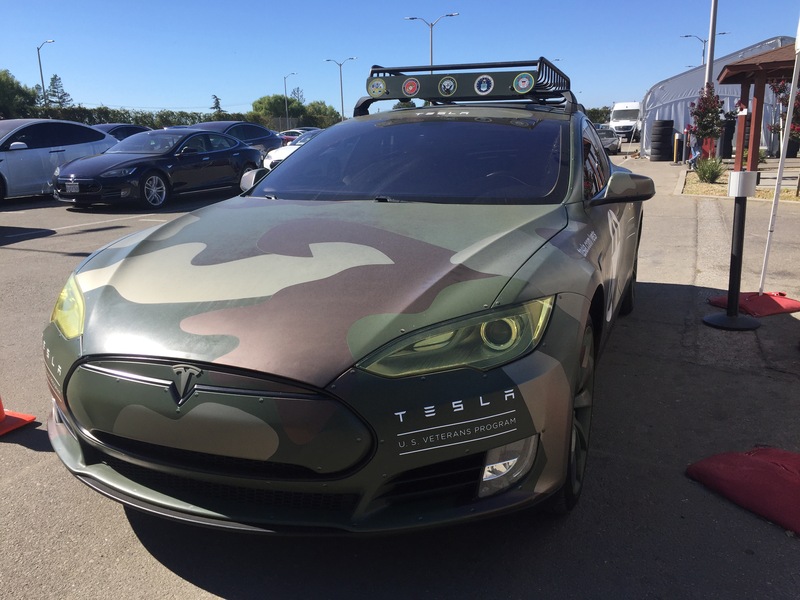 The vehicle is obviously more marketing than serious concept military Tesla, but it’s inspiring nonetheless. 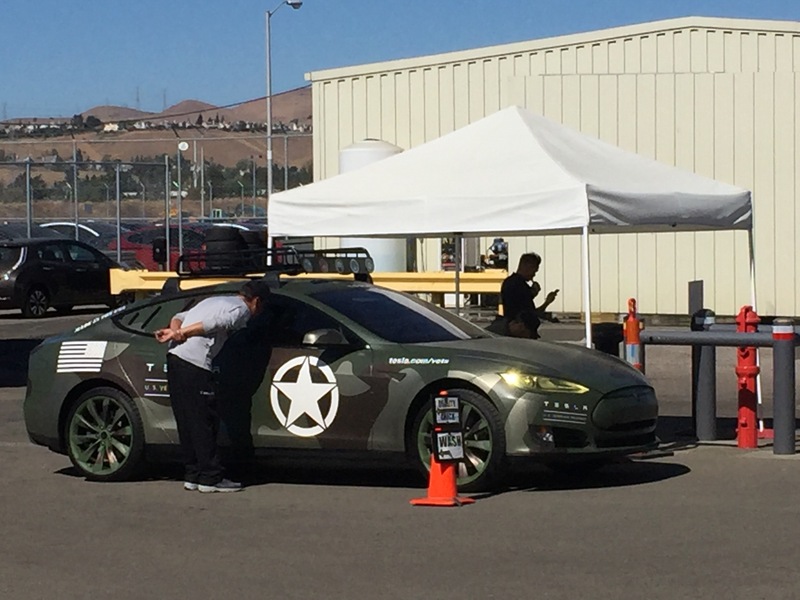 Just add some James Bond’esque hidden weapons and you’ll be ready for the next Zombie attack or homeland invasion. 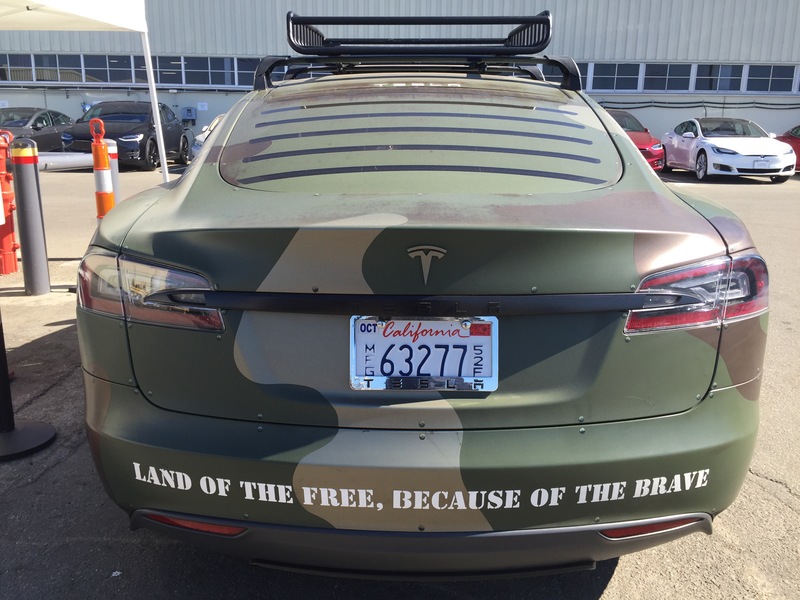 Not a Tesla owner yet? 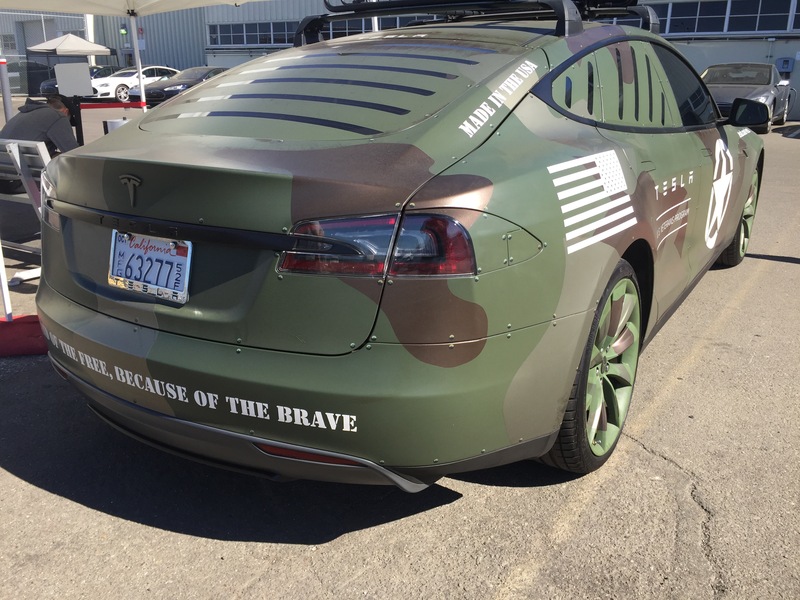 Register your Tesla $1000 discount before its too late.